On June 30, 2018, LAMOST made its fourth Data Release (DR4) to astronomers worldwide. It includes all spectra obtained during the pilot survey and the first four years’ regular survey. LAMOST DR4 released a total number of 7.62 million spectra to the international community, containing 6.57 million high-quality spectra with signal noise ratio (SNR) ≥ 10. 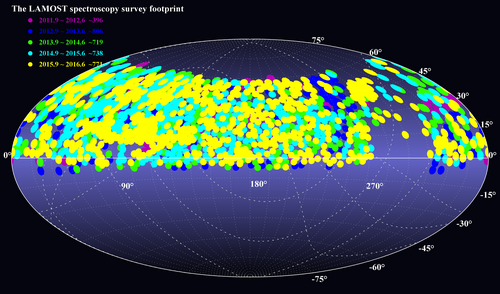 Besides, a catalogue providing stellar parameters of 4.53 million stars was also released in this data set. DR4 has thus resulted in the largest public spectral set and stellar parameter catalogue in the world at present. According to the international practice, LAMOST DR4 is completely open to the world after the protection period. The huge data volume proves that LAMOST is indeed with the world’s highest spectral acquisition rate. LAMOST results in a final catalogue of about 10 million spectra after its six-year regular survey, which is an exceedingly valuable resource for a variety of astronomical fields. With the obtained data, scientists create a "digital Galaxy" for future research on the structure, formation and evolution of Galaxy. 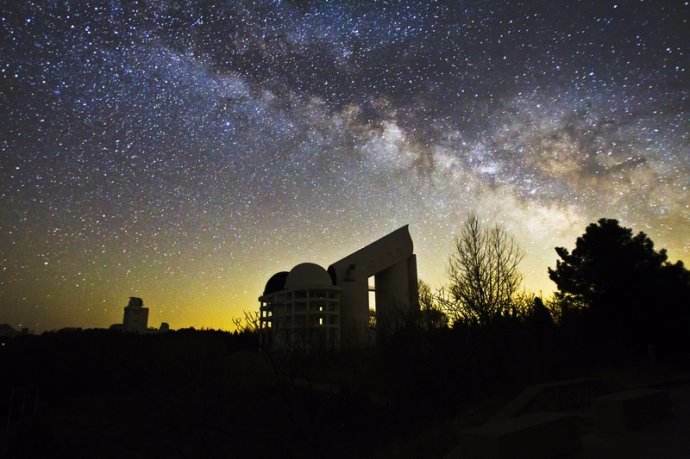 As Gaia and LAMOST sky survey move on smoothly, the near-future Galactic astronomy will enter a whole new era of LAMOST and Gaia.